* Sip your favorite drink from one of these charming Personalized Classic Jar Glasses, a perfect gift for anyone who loves that country look. 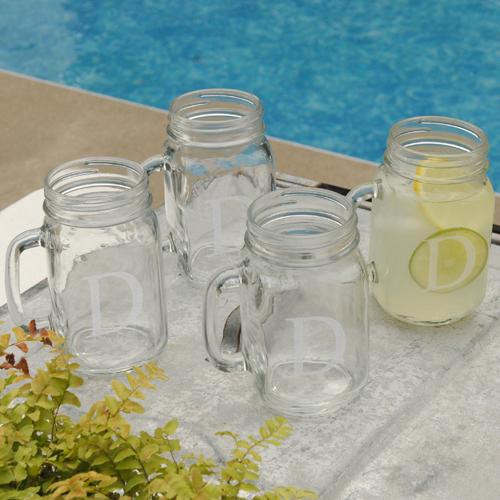 * Both attractive and sturdy, these monogrammed glasses are ideal for any beverage and the personalization makes them a great wedding, shower, or housewarming present. * Available in sets of 4. * Mug holds 16 ounces. * Glass measures 5 1/4" x 2 1/2". * Personalize with a single initial in our classic font.